Nissan's Nismo division is where they stick all the engineers obsessed with speed. You know the ones. They even have to urinate faster than the person in the next stall. At an event moments ago, Nissan officially opened a new Nismo plant and CEO Carlos Ghosn announced they'd finally be offering a Nismo version of the company's hi-tech joystick jockey Nissan GT-R you can drive without an FIA racing license or a Playstation. You can buy a Nismo Juke. You can buy a Nismo 370Z, if you wish. 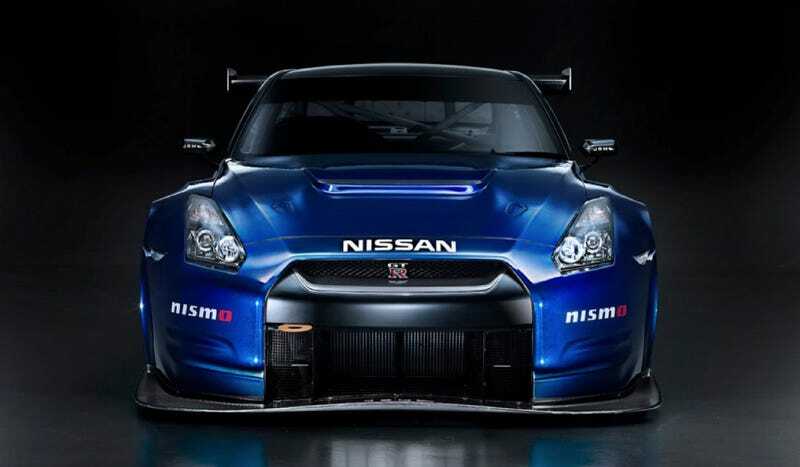 You cannot buy a Nismo Nissan GT-R unless it's a GT3 spec racer (pictured) that costs north of $400,000. That'll change later this year says Ghosn, who'd only go so far as to say you'll be able to drive one within the next 12 months. Other than that there were no photos or promises. Any guesses about how they'll make it worthy of the name?